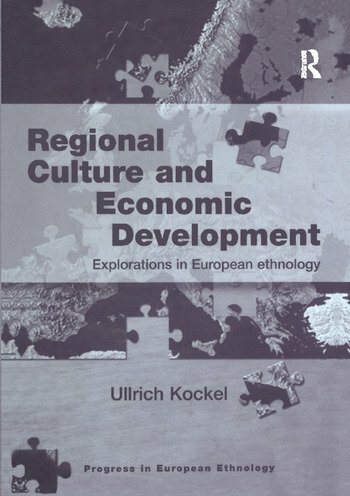 From an interdisciplinary perspective based primarily on European ethnology and political economy, this book explores issues and concepts concerning the link between culture and economy. A historical introduction to key theoretical problems is followed by five empirical chapters discussing aspects of development in rural as well as urban locations. The author considers local leadership, looking in particular at part-time farming, counter-urban migration, and pluriactivity. The classification of informal economy is illustrated with examples drawn from fieldwork, and urban poverty and migration are each explored in detail. A discussion of heritage and identity as a resource for development questions whether the concern with the authenticity of culture(s) may be an inappropriate approach to take. The book concludes with a theoretical reflection on the problematic of culture and economy and a call for a return to the roots of European ethnology as an essentially political science. Contents: Regions, cultures and endogenous development; The land, the folk and the whole house; Makeshift propriety; The urban challenge; Community revisited; Authenticating heritage; Beyond the folklore of economics; Bibliography; Index.